Compliance with the ATEX Directive 94/9/EC is a legal requirement in all European Member States. If you design, manufacture or sell any equipment or protective system intended for use in potentially explosive atmospheres you will need to comply with the ATEX Directive 94/9/EC. The scope of the ATEX Directive is broad. Besides considering potentially explosive concentrations of gas, vapor or mist in the air, the ATEX Directive also takes into account potentially explosive concentrations of dust in the air. In addition to considering electrical sources of ignition the ATEX Directive also takes into account mechanical sources of ignition. Any control equipment that is used to ensure the safe operation of equipment in a hazardous area also comes within the scope of this directive. An additional directive, 99/92/EC, concerns the minimum requirements for improving safety and health protection of workers potentially at risk from explosive atmospheres. At first sight the wide reaching implications of the ATEX Directive appears to be very demanding. 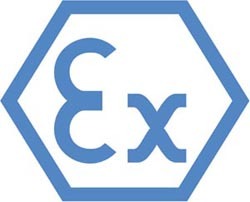 In common with all European Directives, the ATEX Directive has its own essential health and safety requirements (EHSR) and manufacturers must certainly do more to satisfy all of its requirements. Many of its requirements are already being met by manufacturers who have always had to satisfy the requirements of the previous Explosive Atmosphere Directive in order to produce a marketable product. The ATEX Directive therefore gives manufacturers an opportunity to prove that they have good products, because in complying with this directive, users will know that manufacturers have had to attain a higher standard. The essential requirements of the ATEX Directive require manufacturers to satisfy a number of objectives. Whereas the old Explosive Atmosphere Directive manufacturers were obliged to observe only published European standards, under the ATEX Directive manufacturers can consider other options. Manufacturers are, however, advised to observe the requirements of published European standards as their first option, because these have been written to satisfy certain of the EHSR of the ATEX Directive. The ATEX Directive identifies two groups of equipment. Group 1 equipment is intended for use in mining applications. Divided into categories M1 and M2. M1 identifies equipment that must continue to operate when a potentially explosive atmosphere is present. M2 identifies equipment that does not operate when a potentially explosive atmosphere is present. Group 2 is intended for all other situations. Divided into categories 1,2 and 3. Category 1 equipment is intended for use in Zone O situations. Category 2 equipment is intended for use in Zone 1 situations. Category 3 equipment is intended for use in Zone 2 situations. Zoned areas are areas where there is a risk of flammable material being released to atmosphere. The subscripts 0, 1 and 2 describe the probability of a flammable material being released to atmosphere in explosive concentrations. Zone 0 is the highest risk zone where an explosive atmosphere is expected to exist continuously or for very long periods of time. Zone 1 is an area where an explosive atmosphere is expected to exist for short periods of time, but during a year the accumulation of such events is not in excess of 1000 hours. Zone 2 is an area where an explosive concentration of flammable material is not expected and should it be released it will only exist for a very short period of time and where the accumulation of events over a year does not exceed much in excess of 10 hours. It is mandatory for manufacturers to obtain an EC Type Examination Certificate from a notified body if they are manufacturing electrical equipment in Categories M1, M2, 1 and 2 or diesel engine protection systems in Category 2. In all other cases manufacturers are free to certify their own equipment which is similar to the situation that has always existed under the old Explosive Atmosphere Directive. Traditionally however users have always sought some form of certification for this type of equipment and this continues to be the situation in practice. Depending on the category of equipment involved, manufacturers are also required to install a quality system that ensures that a product that has been type examined will be faithfully replicated. There are annexes in the ATEX Directive which identify different quality systems for this purpose. Broadly speaking these annexes require manufacturers to have in place either an ISO 9000 quality management system or a notified body must be involved in the inspection of product in some capacity. In either case a notified body is responsible for ensuring that a manufacturer produces products which fully accord with the design which was the subject of the original EC Type Examination Certificate. Quality management systems must either be audited by the notified body, if that body holds accreditation to EN ISO/IEC 17021 or another organization that has this qualification and is accepted by the notified body. The latter provides manufacturers greater freedom of choice. With the introduction of the ATEX Directive manufacturers now have an opportunity to introduce more innovative products than was possible under the old Explosive Atmospheres Directive. The ATEX Directive sets a number of technical and quality objectives that must be complied with to the satisfaction of a notified body, but once these have been met, a manufacturer is entitled to display the distinctive European Mark which is recognized throughout the European Union. Full advantage of the ATEX Directive can be taken by manufacturers that choose notified bodies with broad technical experience in wide ranging disciplines. Make sure that your consulting firm works with the full cooperation of such an organization providing a means of taking full advantage of the ATEX Directive. All equipment will require CE Marking. Complying with the requirements under this directive are complex. QNET has registered European Engineers familiar with all methods of explosion protection and in particular intrinsic safety, flameproof and increased safety methods of protection using European standards. Please contact us for a no obligation quotation for assisting you with complying with the ATEX and other CE marking Directives.